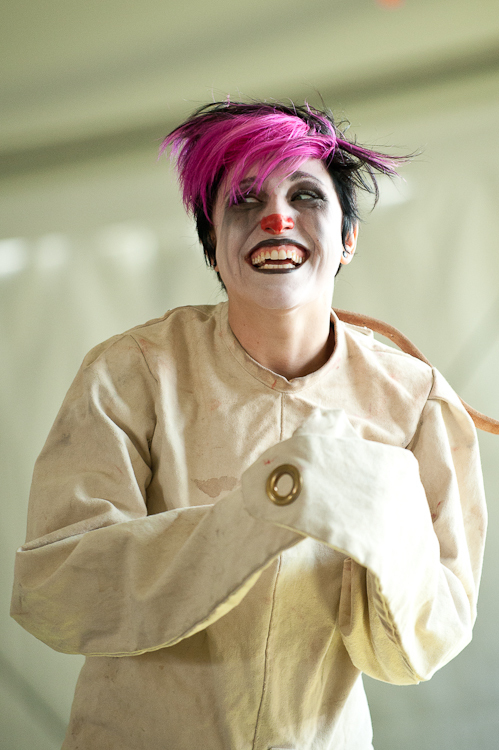 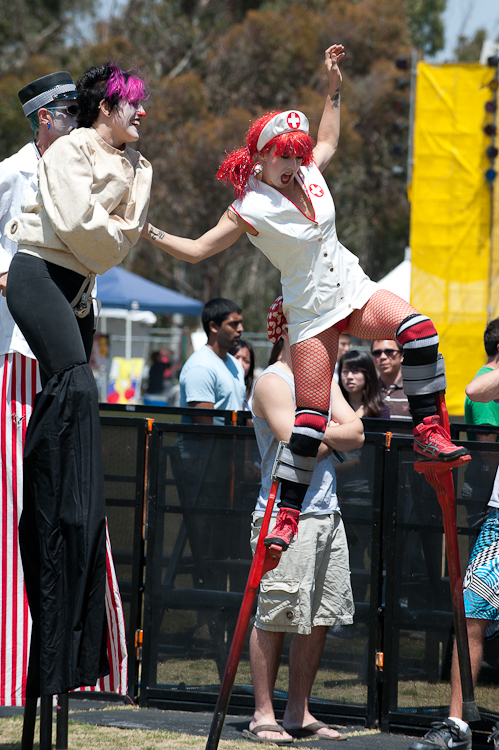 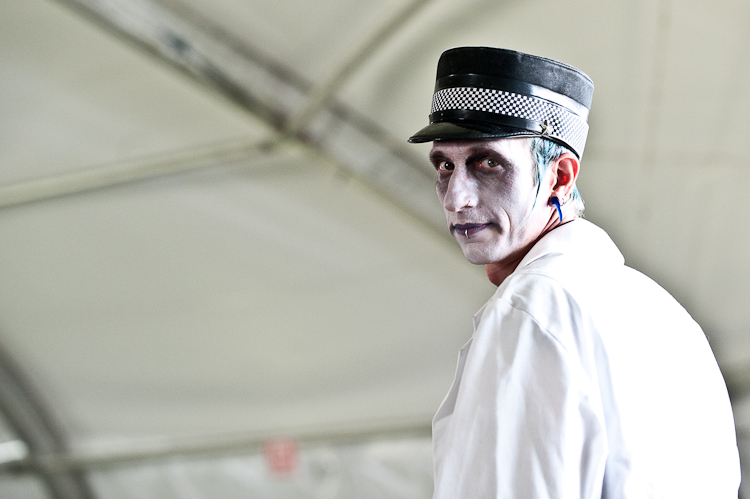 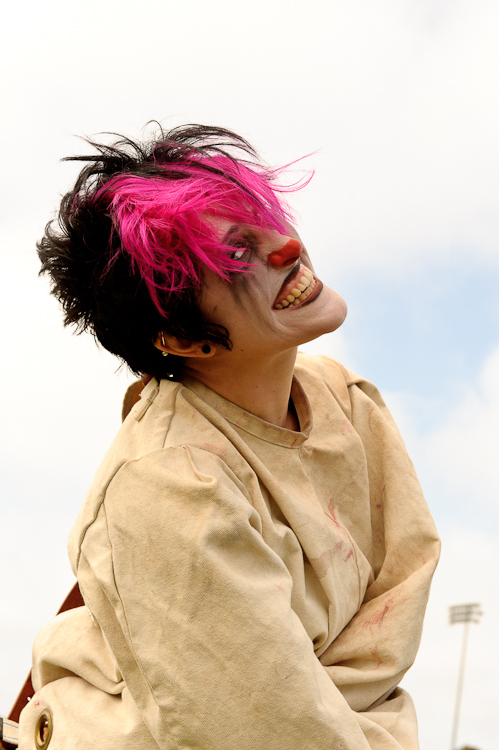 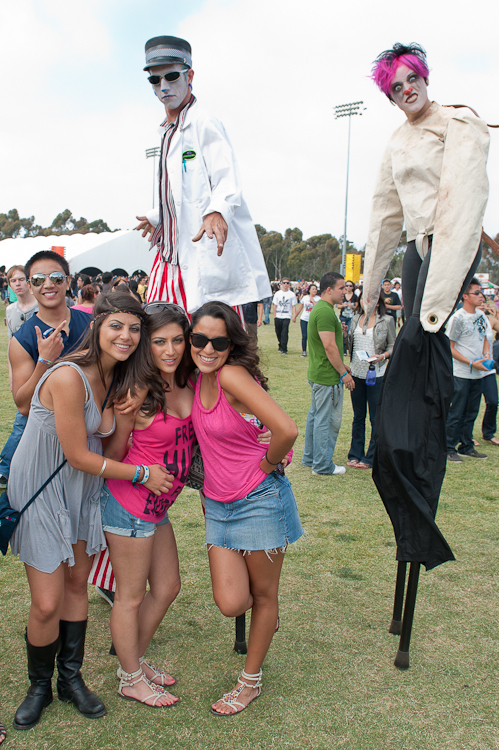 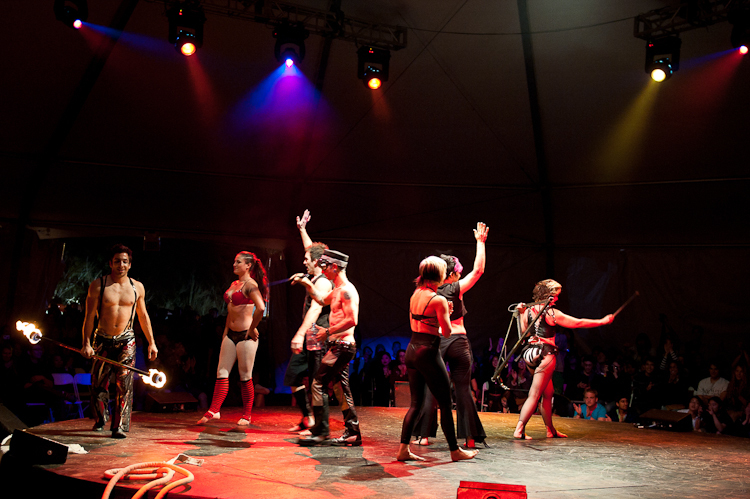 One of the more entertaining aspects when shooting at the UCSD Sungod festival were the performers from the Cirque Berzerk. 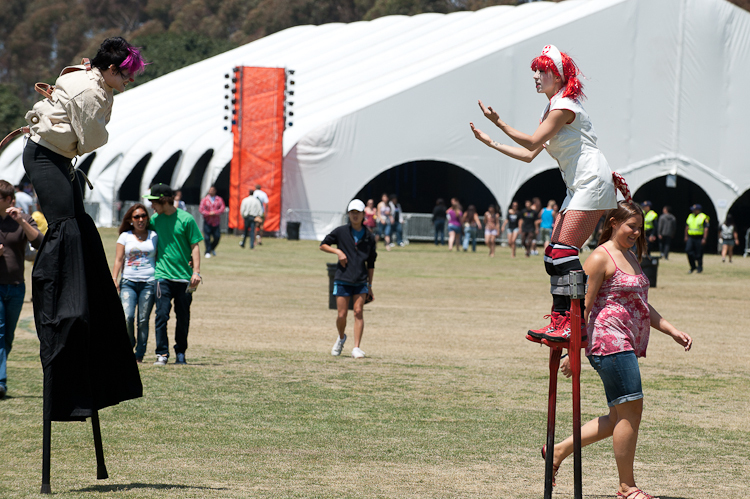 This included stilt walkers, fire dancers, acrobats and just plain wackiness. 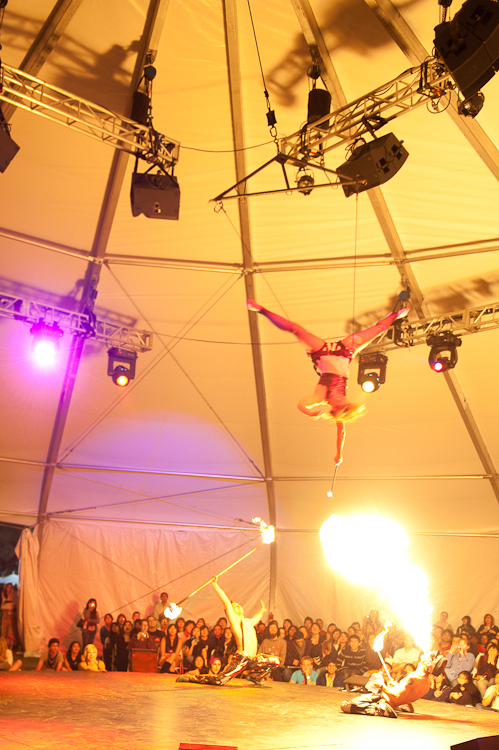 They performed a series of 20 minutes “acts” spread out during the day and late into the night. 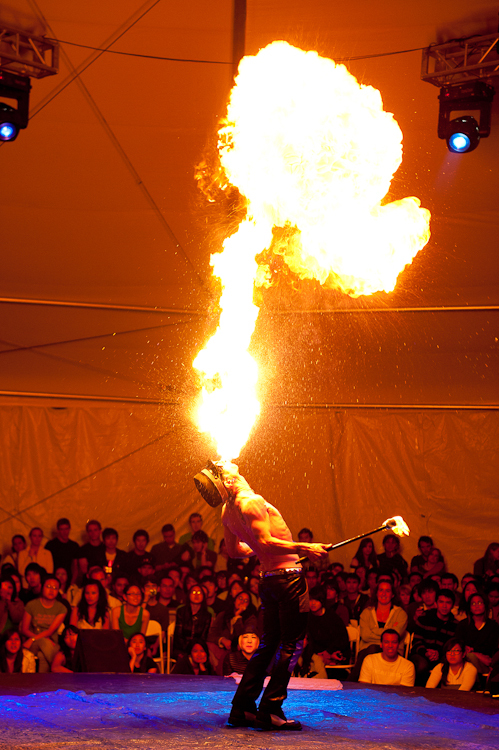 All the images were shot with the Nikon D700 and the 24-70mm f/2.8 and 70-200mm f/2.8 lenses. 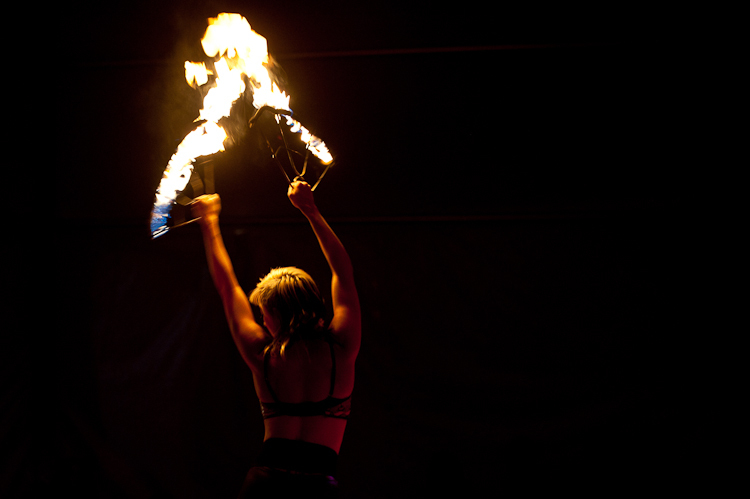 What was one of the more difficult aspects was dealing with the fire. 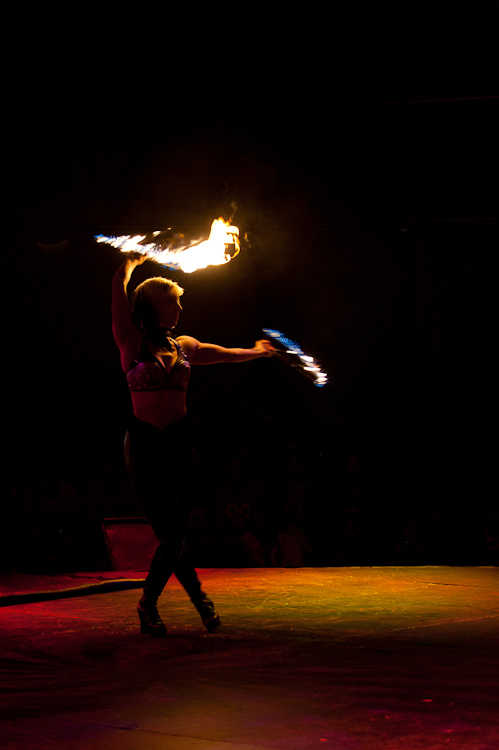 Fire is bright, really bright and when trying to get the fire exposed right, the rest of the image is dark. 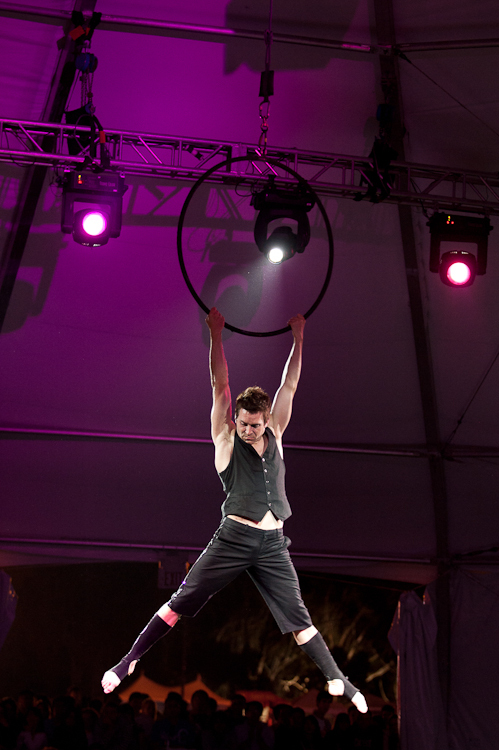 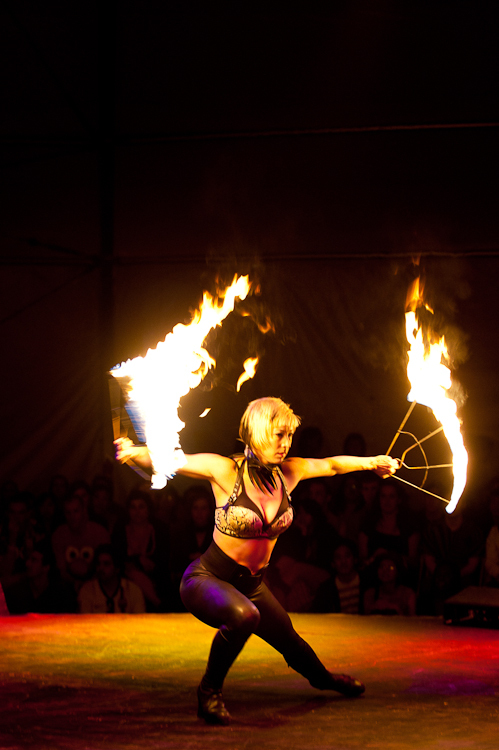 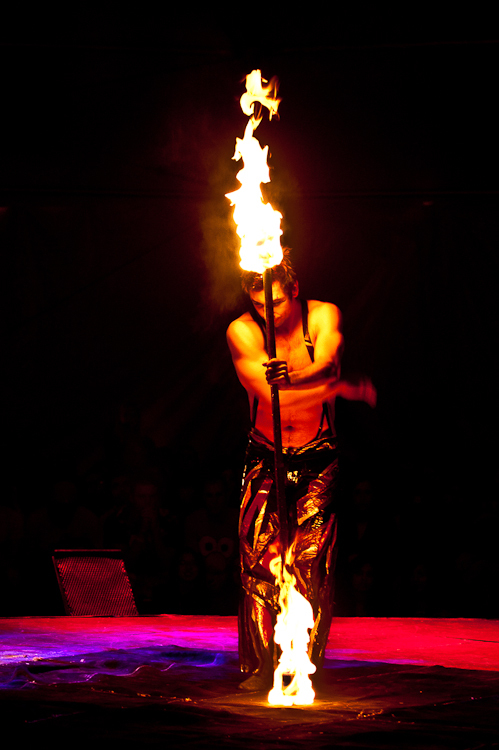 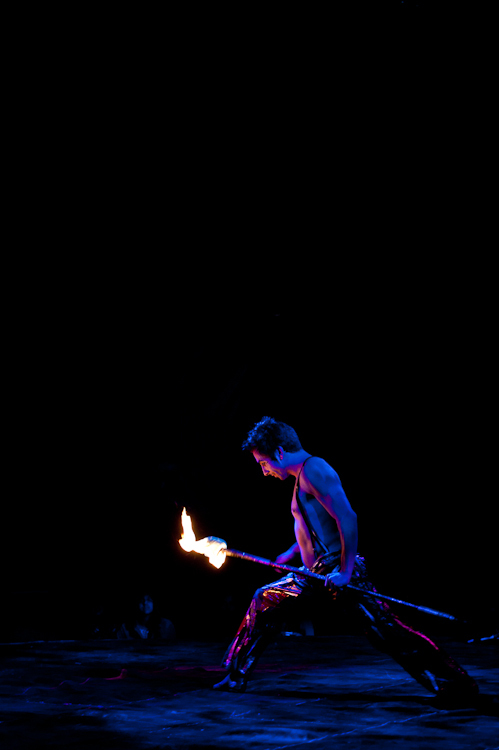 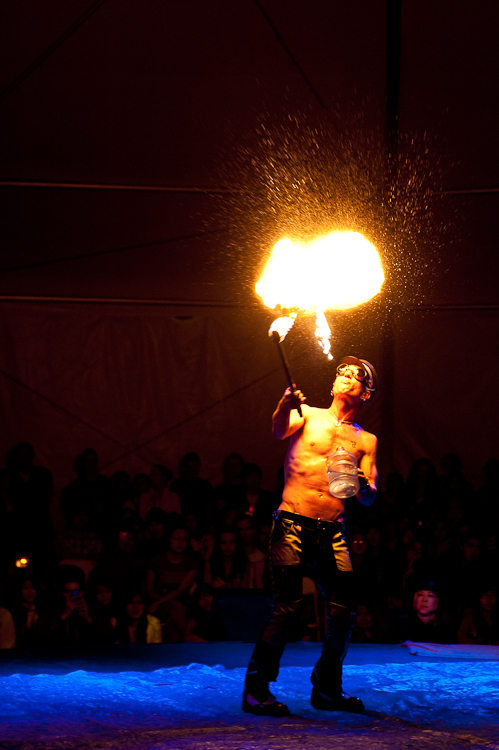 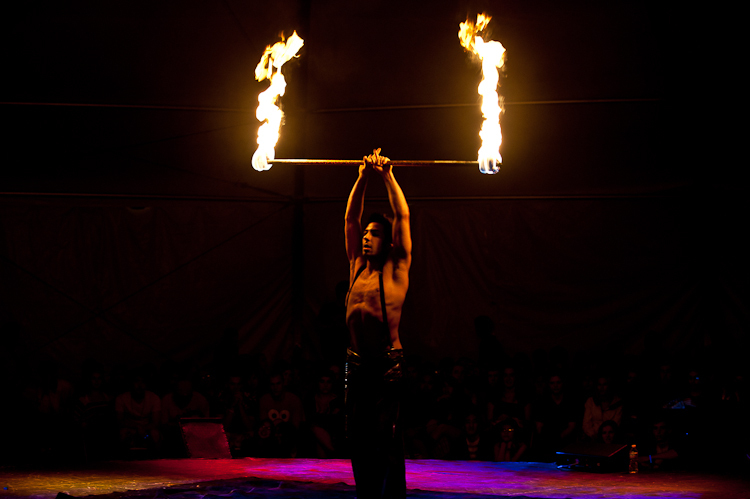 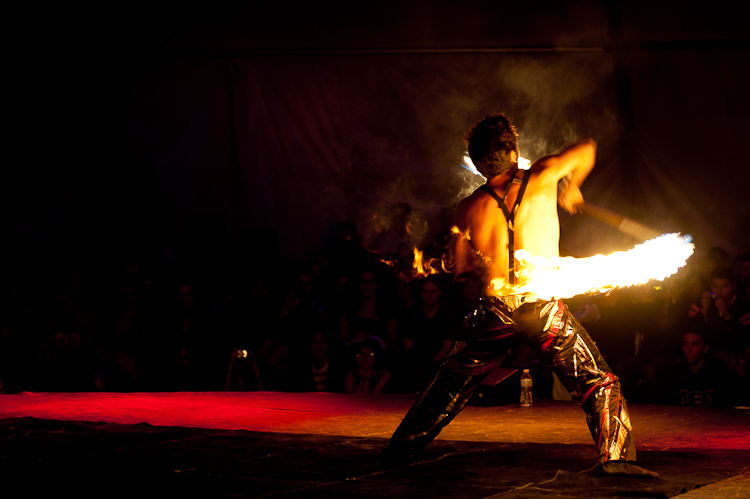 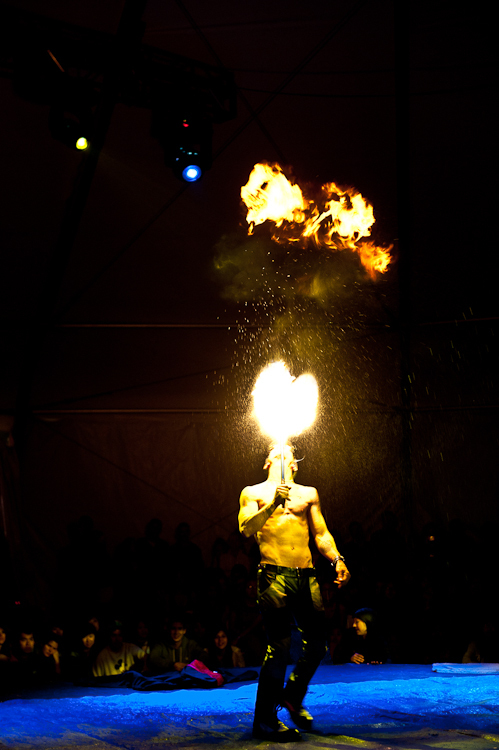 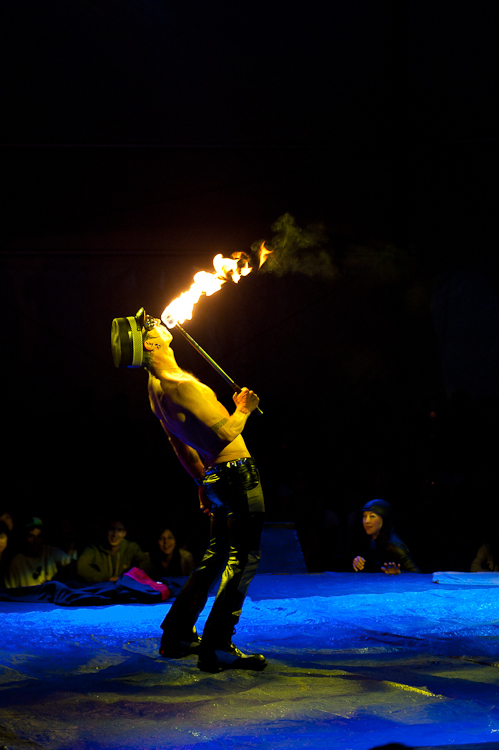 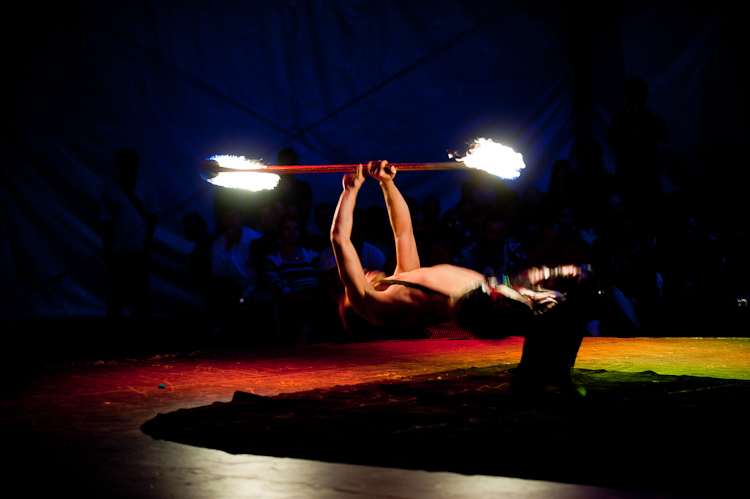 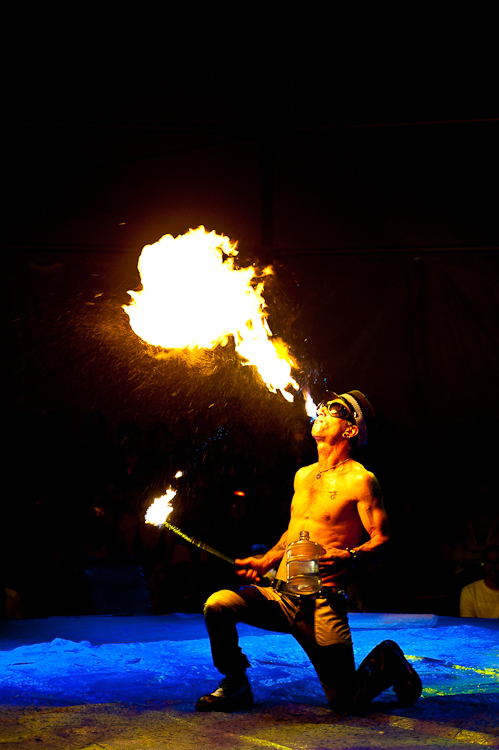 When exposing for the performers, the fire is overexposed. 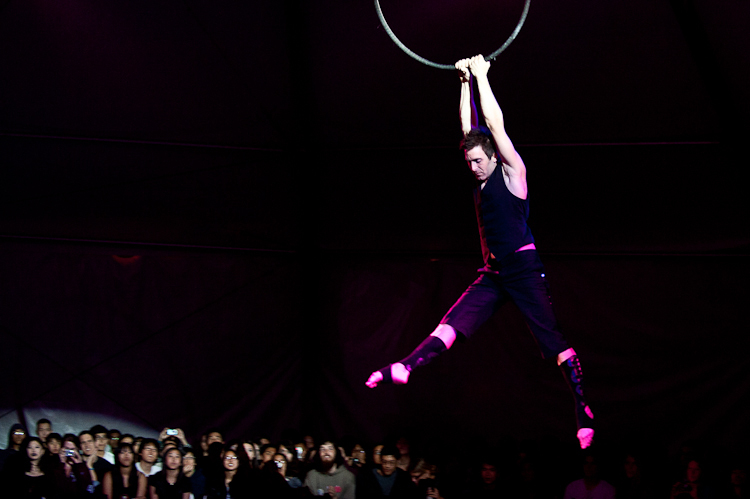 The challenge is to get a happy balance between two.